I come home from work and, from the driveway, the first thing I hear is Chris Tomlin music. My wife is blasting it loud inside the house. She is playing some Tomlin tunes with a worship band this upcoming Sunday, as many other musicians will (and as I used to regularly). I enjoy many of Chris Tomlin’s songs (or at least, I like that one about resurrection). Others, I’ve heard too many times. But this post is about chapter 2 in the book Holy Roar. The ethics of leading worship is for others to discuss. Some folks have taken exception to my speculations as to why Tomlin and Whitehead would publish their book with Bowyer and Bow, a “publisher” that exists in the same physical address as a music industry CPA office that doesn’t seem to have published anything else. It’s true: I have no idea why the authors have chosen this route. Perhaps it has nothing to do with taxes. Perhaps it has to do with wanting to keep all sales profits for themselves (a route I encourage for all creative people who want to own their work). Or perhaps it has to do with the backwards Hebrew which would never make it past stage 1 of proof-reading. Who knows? The point is that people buy this book. On Amazon, people currently pay $12.47 per copy. You can get them for as low as $11 per copy if you buy in bulk of 150 copies. That bundle is ready-to-go at holyroar.com. It will cost you $1,650. And no doubt, some budget dollars from church education ministries have likely already spent $1,650 for 150 copies of a book with incorrect information, presented as fact, and backwards Hebrew, presented as ancient insight. People spend this kind of money on resources that help folks read the Bible better because they believe it comes from a trustworthy source. They believe that the source is trustworthy because they see it has been published. They believe publishing a book creates a credible resource because publishing entails proof-reading procedures. So, if a book has not been proof-read, it has not actually been “published” in the way that competitor books have been. Rather, it has simply been printed. To present a self-printed book to the public as if it has indeed undergone the procedures of publication when it in fact has not is dishonest and deceptive. One way to avoid accusation of misconduct is for authors to self-publish. This is when authors disclose that their book has not been published by standard means of publication, but rather one that they have financed themselves. There’s nothing wrong with this. People do it all the time. But some feel there is a stigma attached with self-publication. So, we know that the authors self-published this book in a manner that does not disclose self-publication, and might (reasonably) speculate that perhaps this is to avoid this stigma or perhaps for various financial reasons. Who knows? Still, there is a break in a relationship here, even if not tax-related. And that break is financial in nature. Someone bought this book under the salesmanship of it being one thing, and then it turned out to be something else, something that didn’t even go through typical checking stages. It even has a logo for the “publisher” on the spine of the book, like legitimate book publishers have. This is reason for people to feel tricked or duped by this book’s publication. Because it hasn’t really been “published” in the way people think when they say “published”. Neither has it been acknowledged as self-published. 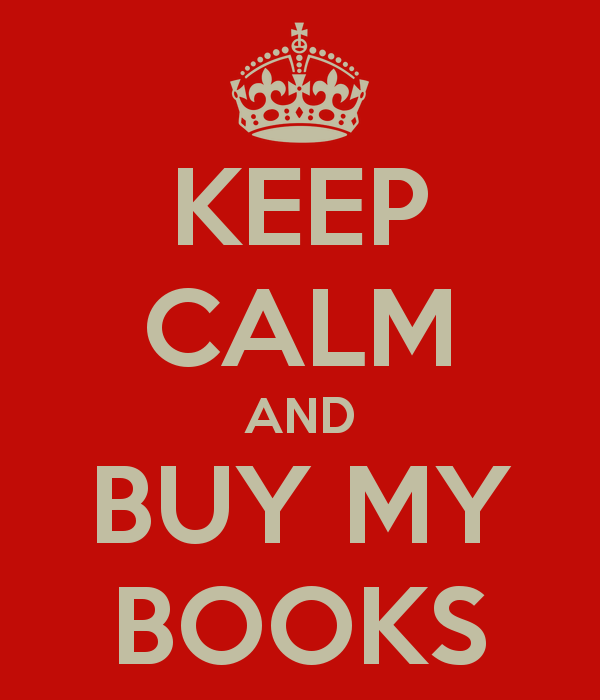 This breaks the trust between author and reader in a financial way. An act of good faith on their part (and very minimal) might be to stop selling the book in its current form and wait until corrected copies can be printed. A larger gesture might be to also reconsider the mistakes they have made based on mishandling Strong’s Concordance. The word for praise in Hebrew that comes from the root הלל is never pronounced /halal/, but rather always a form of /hillel/. This is because this special word from which the authors rightly note we get the phrase hallelujah is always (100% of the time) in the derived stems of Piel, Pual, and Hitpael. It never occurs in the Qal stem (and for that matter, it never occurs in the Polel, Poal, or Hitpoal stems either). However, this claim is based on a lack of competence in BH. Following the imprecise linguistic descriptions of Strong’s, the authors conflate 3 different words which more thorough Hebrew lexicographers (like HALOT, DCH, and Gesenius 18) separate from each other with 3 different entries in their dictionaries. The first entry for /halal/ is a usage that only exists in the Hifil stem in the Hebrew Bible. It means “to flash light” or “to shine” (Isa 13:10 for example). The second entry for /halal/ (actually, /hillel/ because this one never exists in the Qal stem) is the verb of praise “to praise/eulogize”. Again, this usage is mostly restricted to the Piel stem (this is what we find repeatedly in Psalms). And finally, the last entry in a dictionary for /halal/ is “to be infatuated, be foolish/senseless, act like a madman” (Jer 51:7). These are not one word with 3 different meanings. These are three different words that do no overlap in their patterns of verb stems and so are presented as three separate words in a good BH lexicon (despite that they all share the same root). To treat one of these three as informative of what the other means would be like making a similar mistake with the English word “bank”. Imagine if someone said, “Better not put your money in the bank because it might get all wet!”. That is either a pun on the two main usages of “bank” in English, or it is from someone who does not really understand English. English speakers do not walk around with unrelated meanings in our heads as if we were dictionaries. In the same way, ancient Hebrew speakers did not walk around with etymologies in their heads. Just like we don’t walk around knowing the historical reasons for why we use bank in two unrelated ways, ancient people also did not carry around unrelated usages of word together in their minds as though they were related. To claim then that “praise” means to “praise in a foolish manner” because /halal/ is a root for 3 different words is wrong and misleading. In fact, there’s an argument that it is actually an offensive notion to ancient Hebrew culture. There is a case of worship before the Lord being mistaken for drunkenness. It’s in 1 Samuel 1 with Hannah, the yet-to-be mother of Samuel (yet to be in ch 1 through at least v16). She is childless and desperate to have a baby. One day, at Shiloh, in the presence of Eli the priest, she is praying so desperately that she does not speak when she prays (whereas Hebrew custom was to use your voice when you pray). The priest Eli mistakes this for intoxication and advises her to stop drinking. She says that she had not been drinking but had been pouring herself out to God. Indeed, sometimes we need to pray with desperation and in ways that might seem foolish to others, just like Hannah. But it would be incorrect to say that this is a good thing for all occasions, after all, Hannah was in a desperate situation. It would also be incorrect to say that this kind of seeming foolishness is what the word /halal/ means when it is translated “praise”. That simply is not true. In fact, the idea of worshipping in a way that looked intoxicated was offensive to the priest Eli. The notion that proper praise of God in ancient Israel would have seemed foolish or drunk does not have any evidence. It lacks cultural awareness and sensitivity. If you are trying to worship as ancient Hebrews worshipped, it’s the wrong idea to have. This is why all of the Scripture references that the authors provide exclusively come from /halal/ 2 lexical entries (or, the second entry in a dictionary for /halal/). All of these are the Piel stem uses of /hillel/ that are only ever used as “praise” (Psa 69:30; 22:22; 109:30; 149:3; 150:6). If the authors used examples from the “foolish” use of /halal/ (/halal/ 3 in the dictionaries), it would be clear for readers that these are unrelated. Check out Job 12:17 or Psa 102:8 for examples of those. It is clear that they are not near the same. Rather than investigating these different references and considering whether or not they are related, the authors copied and pasted from Strong’s imprecise and inaccurate descriptions. 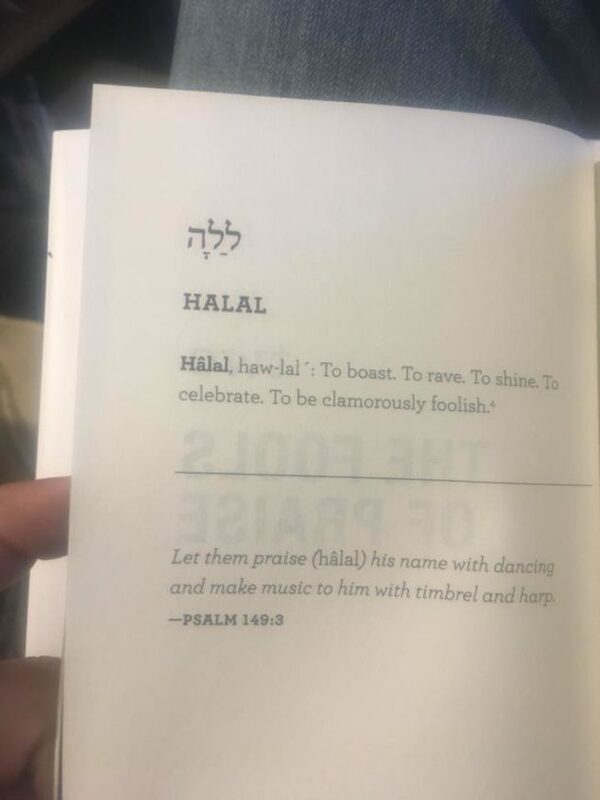 On the page with the misprinted Hebrew for this chapter (p32), they conflate all three different forms of /halal/ and mislead readers to think that /halal/ means “To boast. To rave. To shine. To celebrate. To be clamarously foolish.” Actually, those different meanings are reserved for different patterns in different verb stems, which is why they are kept separate in good dictionaries. The authors even missed out on investigating further into hallelujah. They simply say (p34) that it is an “exuberant expression of celebration, a word that connotes boasting, raving, or celebrating. It carries with it the notion of actin in a way that is ‘clamorously foolish’.” No, it does not. Even with hallelujah, an expression so formalized that we transliterate it instead of translating it (New Testament included), the authors make the age-old mistake of conflating unrelated meanings, as if hallelujah were a bad pun. Hallelujah is not a word. It is a whole sentence. It’s an imperative sentence. But most importantly, it speaks the divine name, or at least part of it. Hallelu is a Piel imperative second person masculine plural verb in BH. That means it’s a command to a group of people to do something. The command they are to do is to /hallelu/ “you all praise”. Praise what? You all praise Yah (or perhaps Jah if you wanna be Rastafarian about it). Yah is a short form of the divine name Yahweh. The ancient Hebrew people spoke the name of God in this call to praise. This is incredibly important for Christians. The New Testament uses hallelujah also, but there in reference to Jesus. Look at hallelujah in places like Revelation 19. What does it mean for early Christians to say hallelujah about Jesus? What does that mean about how they understood “Yah” in the Old Testament? Often, the Bible leaves us with exciting questions like this to think about. So, if someone tries to satisfy you quickly with a cheap answer, keep asking questions.